America is great on paper. Unfortunately, it’s run by people. And people are terrible. 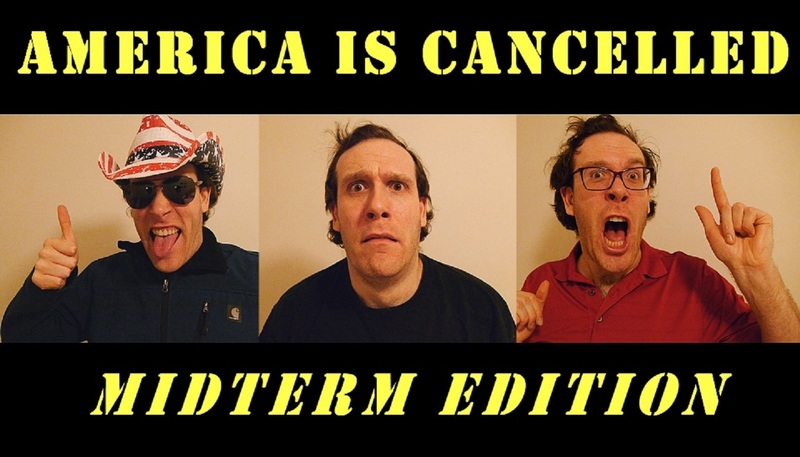 “America Is Cancelled: Midterm Edition” takes a look at social media, the patriarchy, injustice and other lighthearted topics through a variety of scenes, songs and aural soundscape. Today’s U.S.A. is a hot mess, but one privileged white man will smartly and responsibly find a way to make sense of it. Let’s all laugh at America together. Because laughter is the best medicine…if you can’t afford medicine.